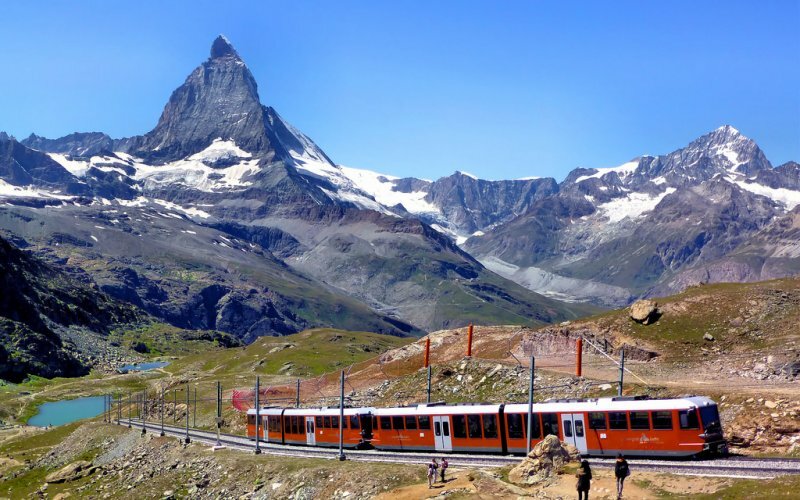 The Gornergrat Railway runs up from Zermatt to the Gornergrat at 3089 meter above sea level. From here you have the best views to the Matterhorn and surrounding mountains of Zermatt. Operates year-round, in 24-minute intervals. View of the glaciers of Monte Rosa, reflection of Matterhorn in Lake Riffel (visible in calm weather), journey with the Gornergrat cog railway to 3089 MASL, Gorner Gorge. Elegant restaurant with a view onto Monte Rosa mountain massif, cheese and roesti (Swiss fried grated potato dish) specialities, self-service restaurant. Climate audio walk (audio guide) Zermatt–Rotenboden–Monte Rosa cabin. 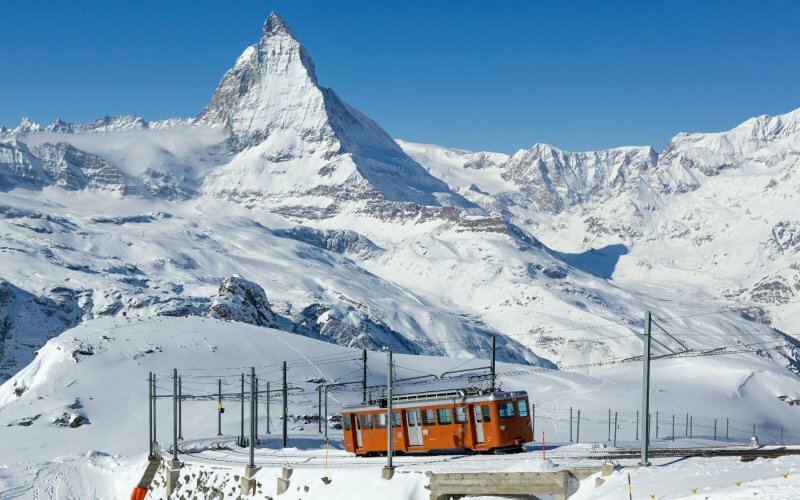 No catering onboard, there are however restaurants in Zermatt and on the Gornergrat. Dogs are accepted on the Gornergrat Railway. Small dogs in a bag or bench travel for free, larger dogs pay half the adult fare. Dogs have always to be on a leash. Limited luggage space available. There are luggage lockers in Zermatt to store you large luggage so you can travel up the Gornergrat light. 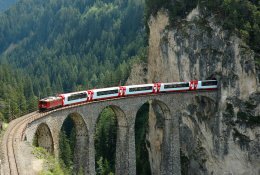 When you're making more train journeys within Switzerland it's advisable to book a Pass of the Swiss Travel Pass. 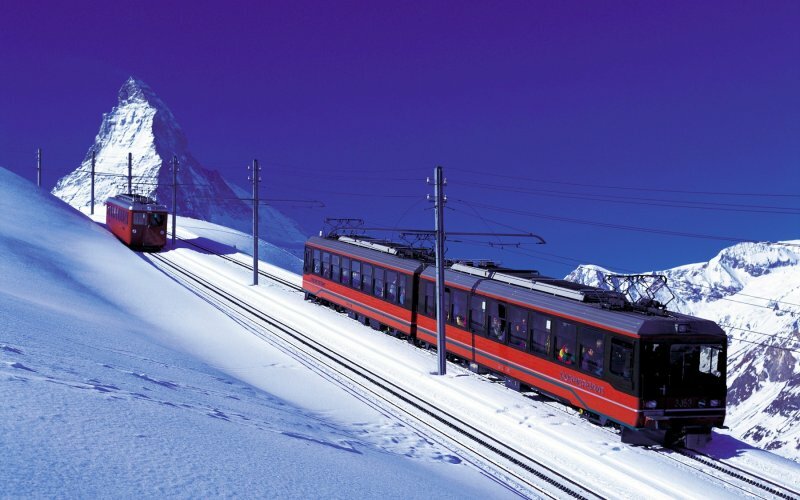 Tickets of the Swiss Travel System give a discount of 50% on the Gornergrat Railway. 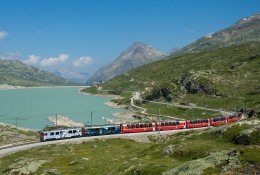 Interrail and Eurail are not valid on the Gornergrat Railway. 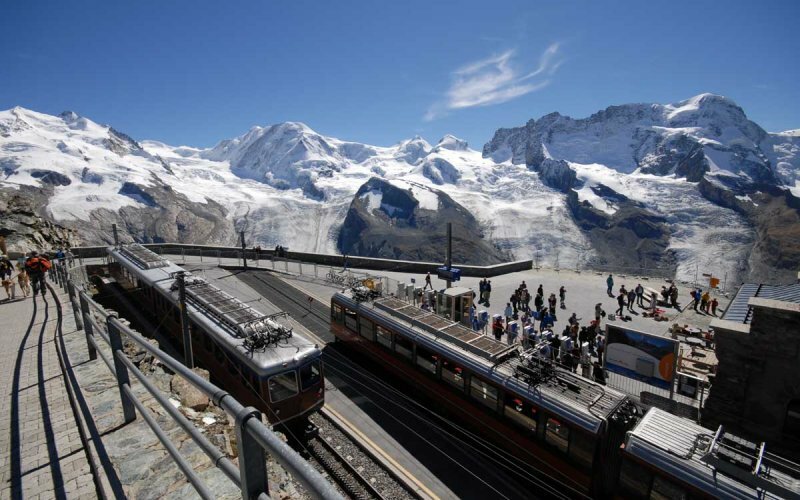 The train station of the Gornergrat Railway is next to Zermatt Railway Station.